The Historical Society was recently asked if we know anything about this and as a matter of fact, we do. 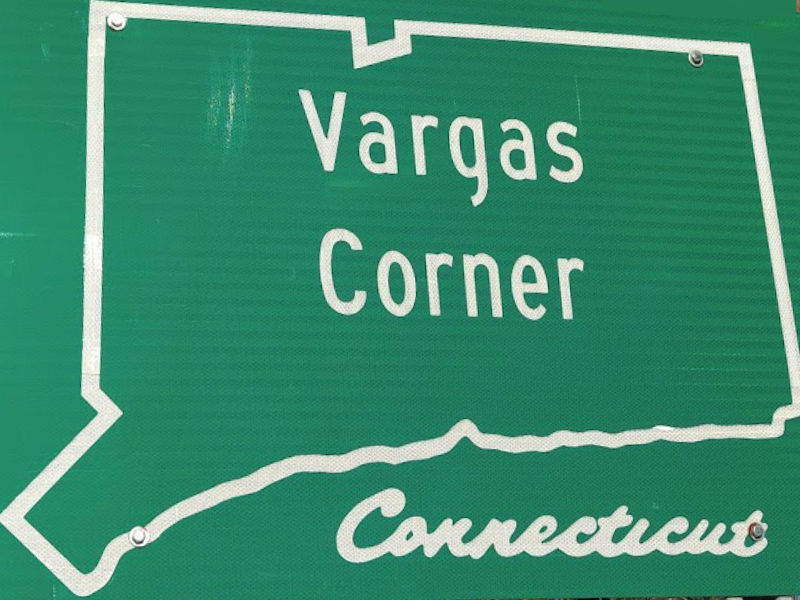 On the Connecticut State Library’s website is a page of Connecticut’s unique place names, including Vargas Corners. 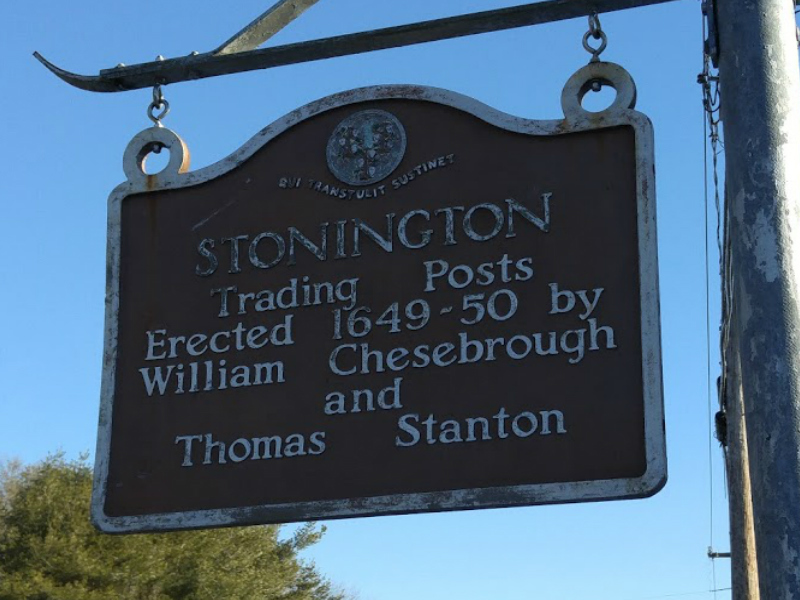 While some of the Stonington names on this list commemorate notable residents (perhaps a future post) like Downerville, Stillmanville, and Greenmanville, others have their origins in Native American place names like Wequetequock, Quiambaug, and Taugwonk. As you may have guessed, Vargas Corners is named for the accomplished family whose descendants still make their home there. The Chesebro homestead can be seen on this 1854 New London County map from the Connecticut State Library. Francis, one of the first Portuguese emigrants to settle in Stonington, had arrived from the Azores around 1840 on a whaling ship. In 1874 the name Vargas first appears at the wedding of Francis’ daughter, Ellen Sylvia and Joseph Vargas. Sylvia and his son-in-law soon went into business together as the Sylvia & Vargas Ice Dealers. 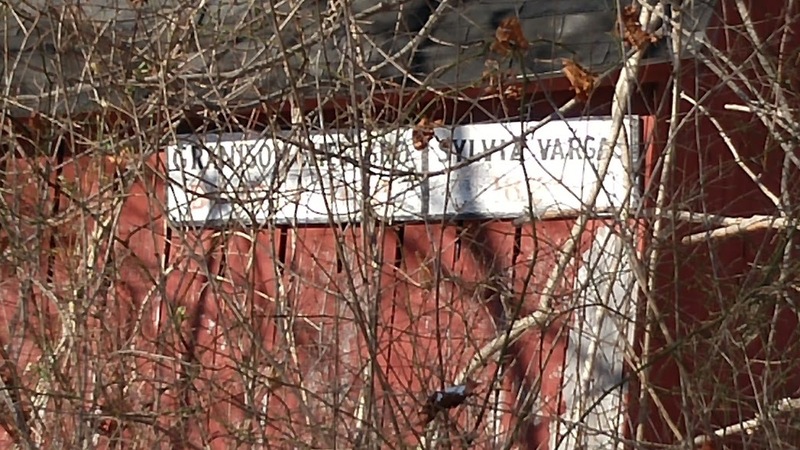 Joseph Vargas had arrived in the United States sometime around 1853, also from the Azores, although he didn’t settle down immediately in Stonington. Many residents will remember this red barn with the sagging roof that marked the intersection long before the Shell station. 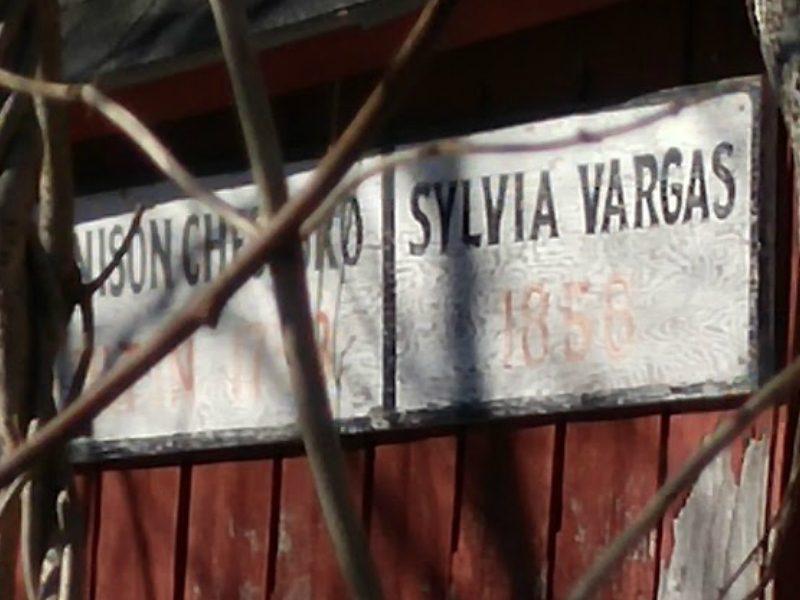 The Sylvia and Vargas families owned great swathes of land that contained two ice ponds fed by Stony Brook. You can see the ponds here. Vargas pond is located just off Flanders and Sylvia’s Pond is closer to North Main Street. In 1897 Joseph Vargas acquired the ice business after the death of his father-in-law and owned it until his death in 1916. His sons, Frank and Joseph Vargas, continued to operate the business as Vargas Bros., Ice Dealers until 1947. Many Vargas family descendants still make their home at this intersection including the Vargas, Connerton, and Connelly families. Stonington Ice is available from the Stonington Historical Society for $20 and was written by Joseph Vargas III. It is a plainspoken history that details a Stonington family and an industry that disappeared with the introduction of electric refrigeration. The name “Vargas Corner” may not be remembered by many with the exception of Stonington’s volunteer firefighters. Ever since the days they announced by horn the location for volunteers to assemble, that intersection has been known as Vargas Corner and not the Shell station.